Now I'm already a huuuuge fan of the skater skirt (since they're so comfy & also pretty good at hiding unwanted tummy podge! ), so when I saw this adorable geometric printed one in Topshop I had to purchase. 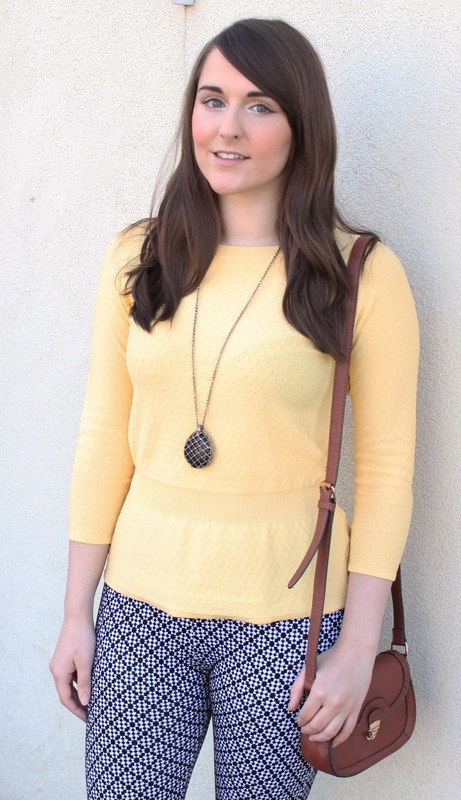 I felt very 60's in this outfit, and I love how well the hex necklace goes with the skirt to create a cute retro look. I fell in love with this top when I saw it in Topshop recently. 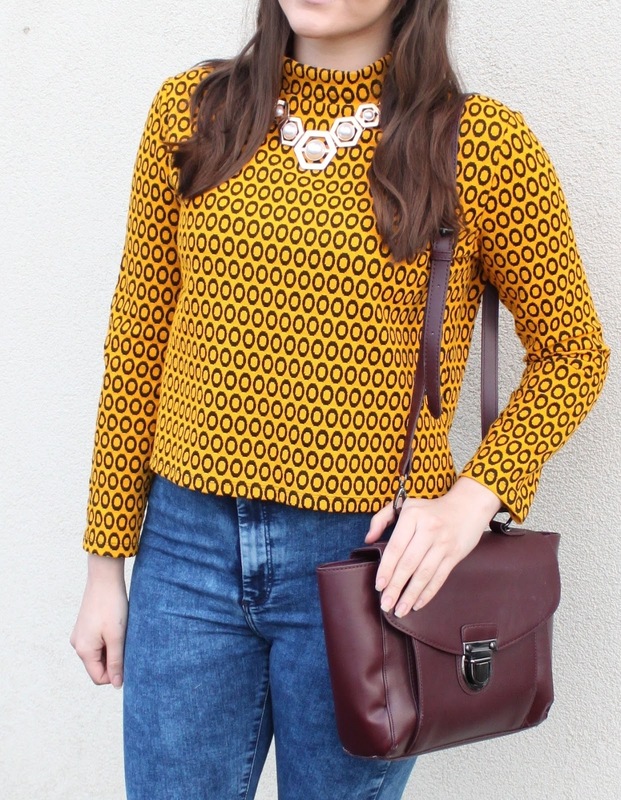 Sure I may look a little bit like I giant bumble bee in it, but you can't deny it's a super cute print! I styled it with some Topshop Joni jeans for a casual & comfy look - perfect for this autumn weather. Alternatively if you're feeling in more of a fancy mood, you can dress the top up with some heels & a skirt for a less casual look. Last but not least are these awesome monochrome "treggings" from Topshop. They're so comfy and I loveee the print. Another mod item making my wardrobe look like something from a 60's film set! You don't have to go for a super retro look with these treggings, as they're actually quite versatile and can even be styled into a more edgier/modern outfit. I also styled them with a leather jacket & some black chunky boots. I loovvee the last outfit, I can only imagine how comfy those treggings are! You rocked all of the pieces! I definitely love the skirt the most, great looks Gabby! These outfits are so gorgeous! You have given me some great ideas. You do sixties style so beautiful! These are all really great looks! My favorite is definitely the first one. This trend is perfect for you, especially with all your amazing printed pieces!! I absolutely love the first skirt :) Hope you're having a great week! That's so sweet thank you lovely! I love the outfits in this post! you have a great sense of style. Can't wait for your next post!